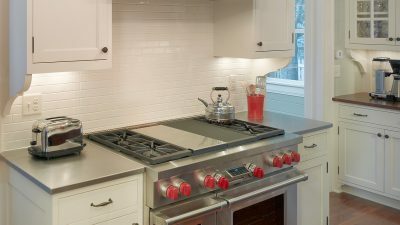 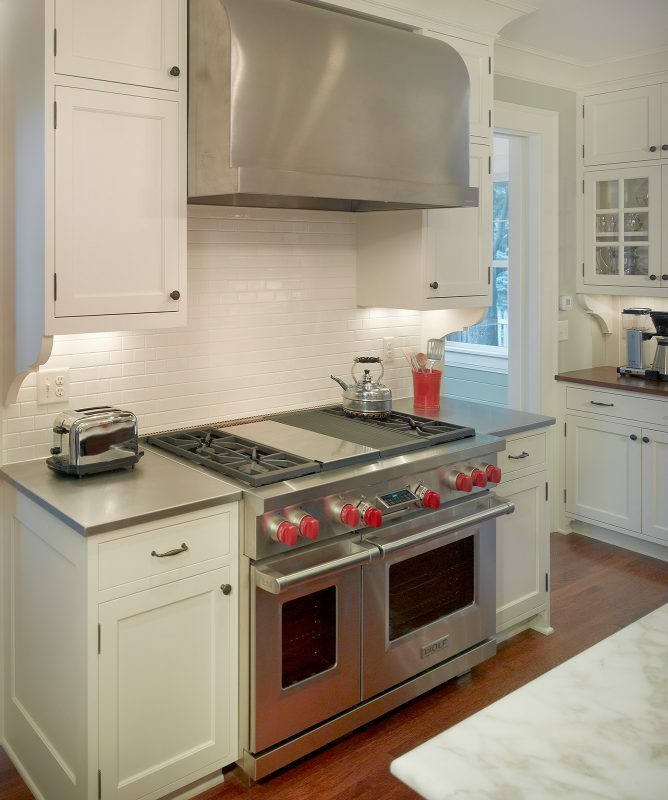 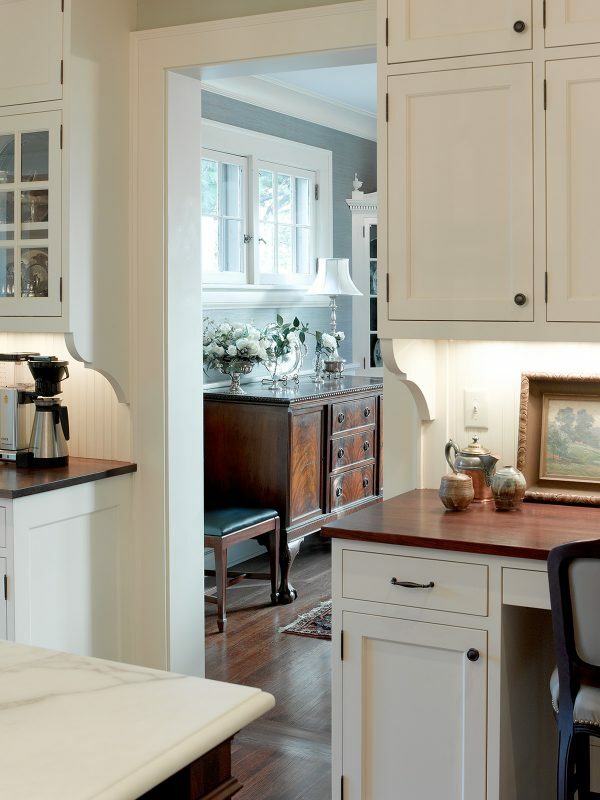 The owners of this 1915 Shingle Style home loved the original charm and rich detailing of most of their home, but a previous owner’s renovation left them with a kitchen that lacked cabinet and counter space and had a midcentury style that did not fit with the traditional style of the rest of the house. 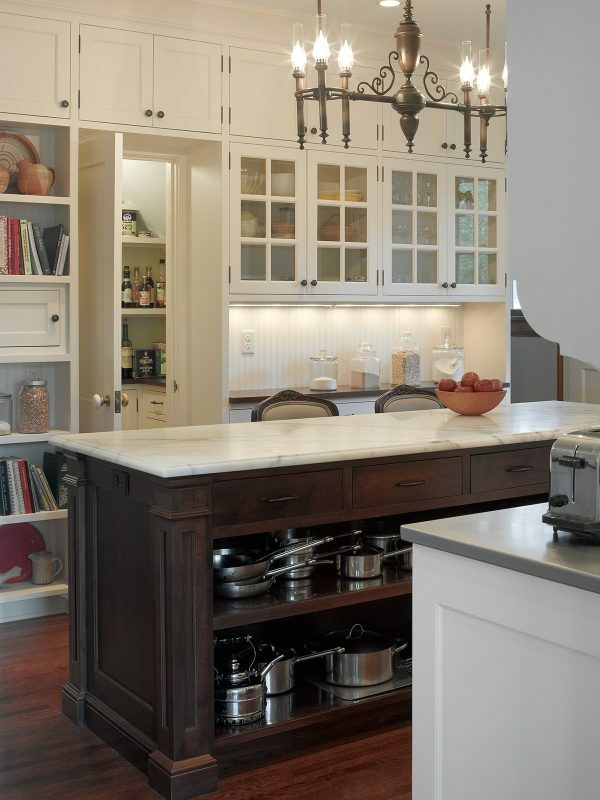 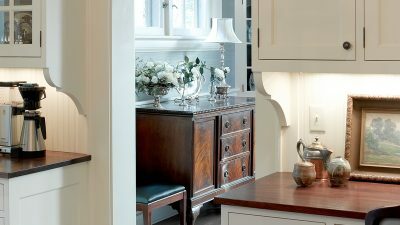 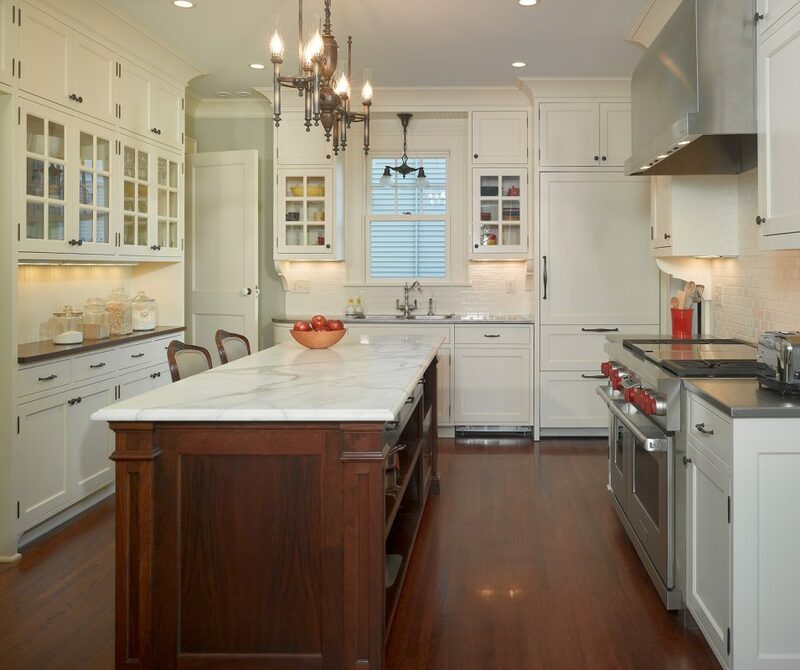 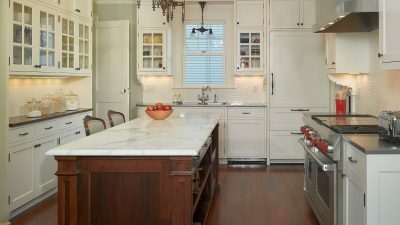 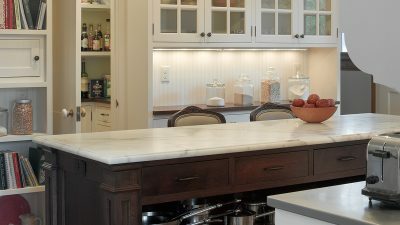 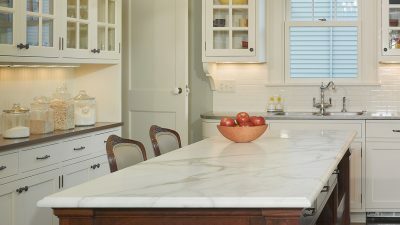 The new kitchen features traditional, richly detailed cabinetry, and with the addition of a marble-topped island, plenty of work space. 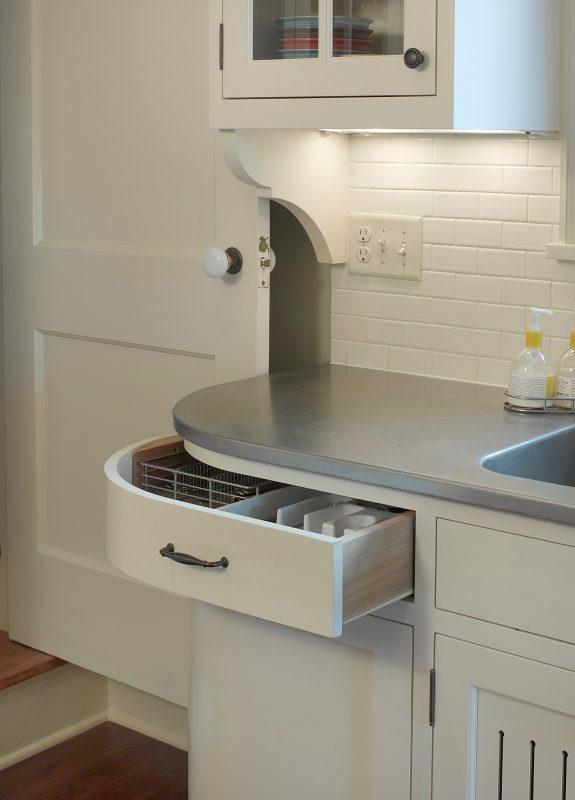 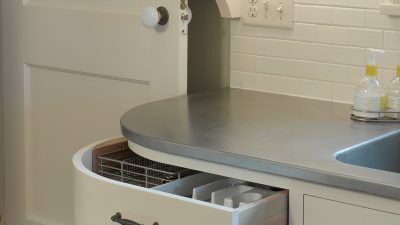 A new walk-in pantry, tucked under a stairway, takes advantage of every available inch for storage of kitchen necessities. 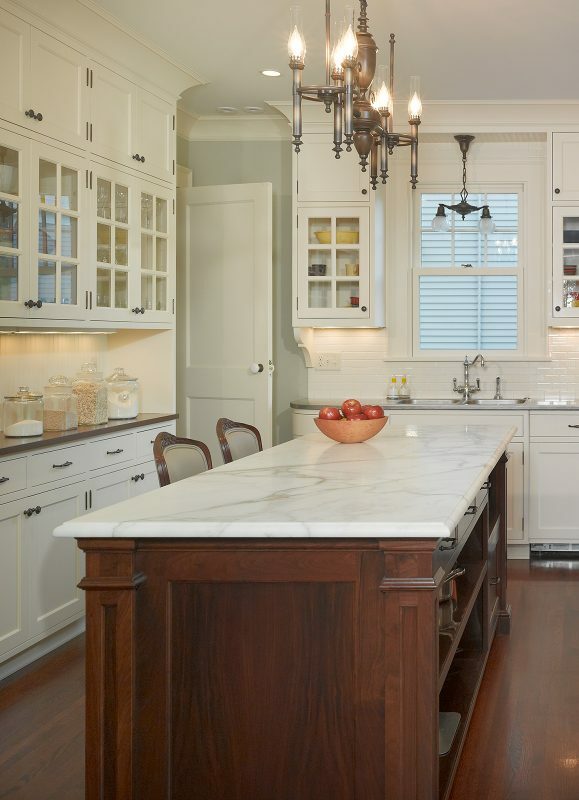 Just off the kitchen, a former covered porch was enclosed to create a sunny, wood-paneled eating area, perfect for casual family gatherings. 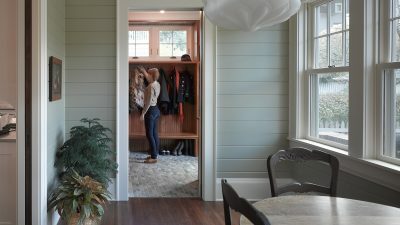 Also part of the kitchen renovation, a new mudroom space was added in place of a tiny, unheated back entry and stairway, creating a welcoming entry point and providing much-needed storage space for this busy family of five.